Mount Pleasant Rd. and Bloor St. E.
Size: about 1,251 sq. ft.
Sold: June 15/18. Closed: July 09/18. 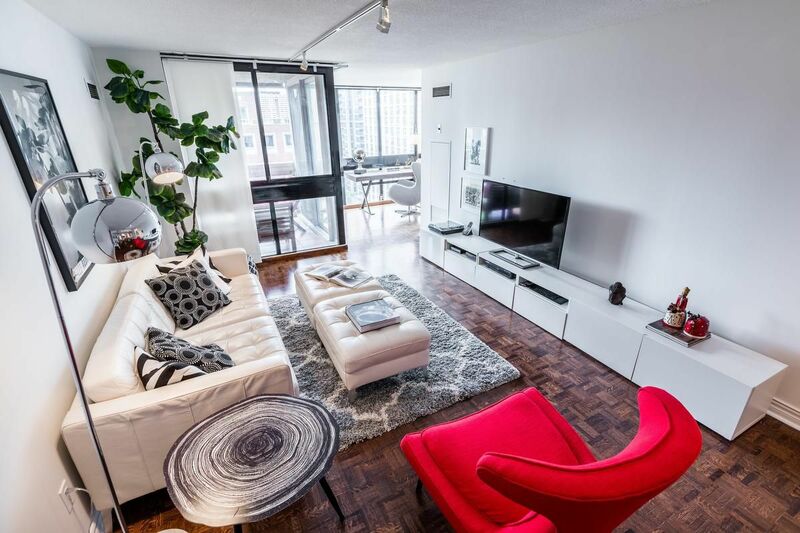 On the market for eight days, this two bedroom downtown condo unit with a den sold for 118 per cent of the asking price. “This unit is on an upper floor and has great views of the surrounding urban landscape. It is stylish and spacious with a large balcony and a modern kitchen with stainless steel appliances,” says listing agent Cameron Weir. The building is steps to the Rosedale Valley, the subway, the Hudson’s Bay Centre, and Yorkville shopping and restaurants. Amenities in the building include a concierge, guest suites, a gym, an indoor pool, a party/meeting room and visitor parking. 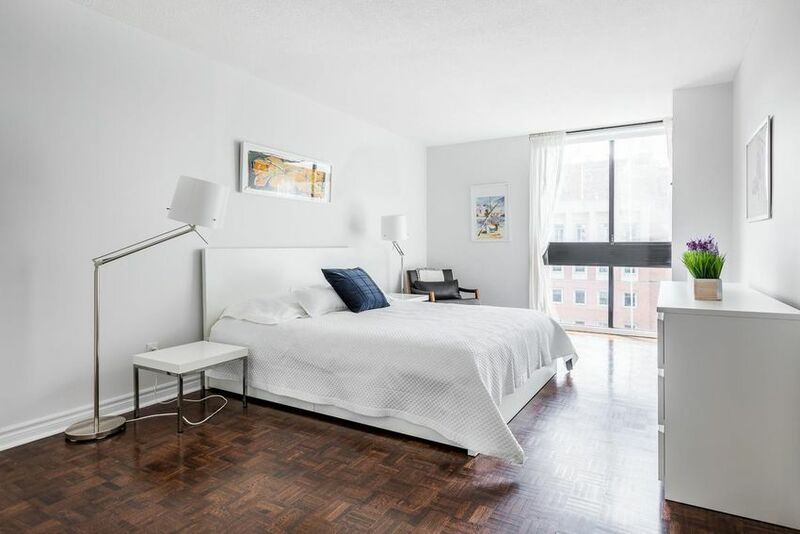 278 Bloor St. E., Unit 1506, has a master bedroom with large closet. Unit has: living room with wood floor and large window; dining room with wood floor; eat-in kitchen with wood floor; master bedroom with large closet, wood floor and four-piece ensuite; second bedroom with glass doors and wood door; den with wood floor, walkout to balcony and large window. Yonge St. and Queens Quay W.
12 Yonge St., Unit 2902, is a three-bedroom penthouse. Size: about 1,076 sq. ft.
Sold: June 20/18. Closing: September 28/18. 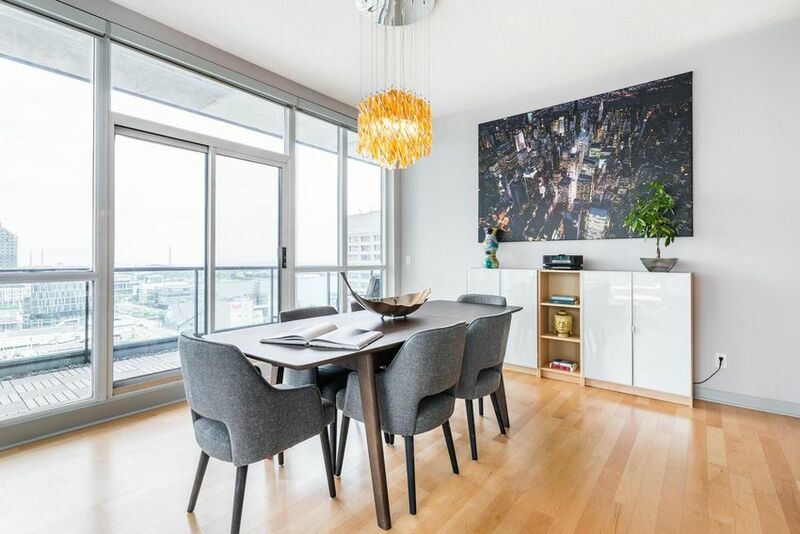 This three-bedroom penthouse sold for the full asking price in 12 days on the market. “This large unit features a 197 sq. ft. terrace with skyline views. The kitchen has a breakfast bar and there are hardwood floors throughout the living area. The unit comes also with two parking spaces,” says listing agent Scott Hanton. The building is a short walk to Martin Goodman Trail, Lake Ontario, restaurants, shopping, the TTC and the Entertainment District. It also has easy access to the Gardiner Expressway. Building amenities are a concierge, guest suites, a gym, an indoor pool, a party/meeting room, and visitor parking. Unit has: living room with hardwood floor and walkout to balcony; dining room with hardwood floor; kitchen with hardwood floor, breakfast bar and built-in appliances; master bedroom with walk-in closet and four-piece ensuite; second bedroom with large closet and large windows; third bedroom with large window; three-piece bathroom. Listing agents: Scott Hanton and Cameron Weir, Keller Williams Advantage Realty, Brokerage, 647-351-3313; www.TheWEIRTeam.ca. 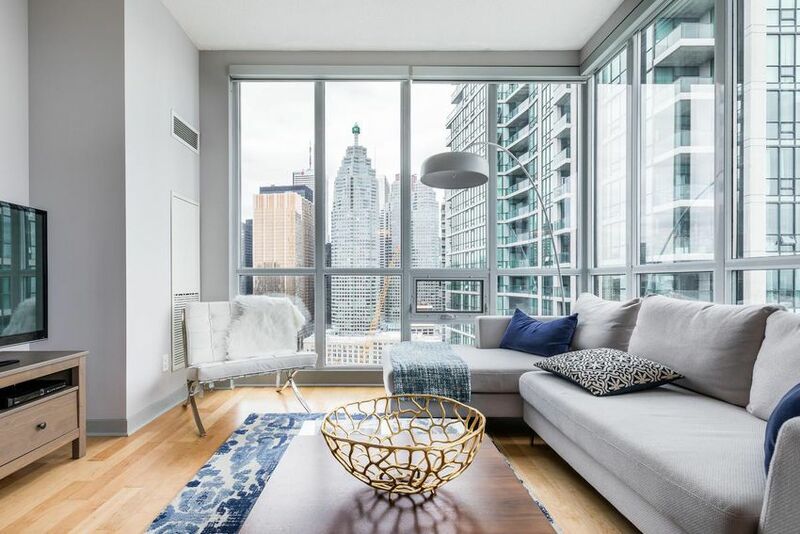 What They Got: Condos Got is compiled by freelance contributor Allison Harness, a Toronto-based real estate writer, from information that is publicly available. Send recent homes sales to . Not all submissions can be used. 12 Yonge St., Unit 2902, has a dining room with hardwood floor.